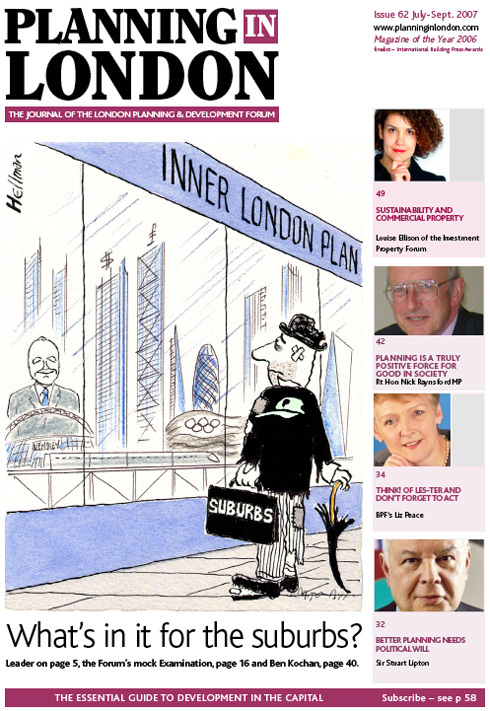 5 LEADER/OPINIONS* ...pdf And now for the outer suburbs; Urbanisation 2.00: the mother of all building booms – Dan Lewis; The coming of age of the ‘bully’ state – Ranald Macdonald; An unacceptable non-standard standard form – Andrew Rogers; “Create problems in the centre of your city, build something nice. Then you will be re-elected” – Jeremy Melvin; Housing growth in London – Rory Brooke. 53 BOOKS* ...pdf Hampstead Garden Suburb: Arts and Crafts Utopia? 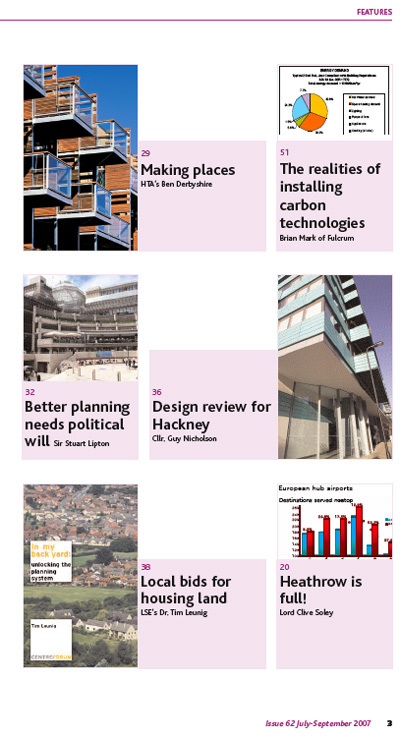 Dr Mervyn Miller, reviewed by Alan Byrne; Place and Home: the search for better housing – PRP architects, reviewed by Bernard Hunt; Designing Community, reviewed by David Gallagher.